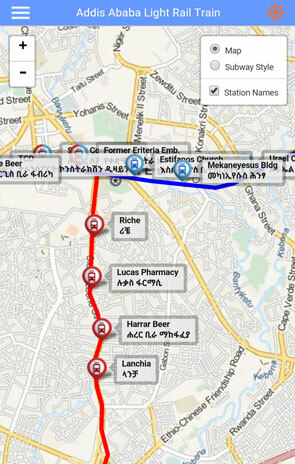 Addis Train is a helper app for the Addis Ababa Light Rail Train network. 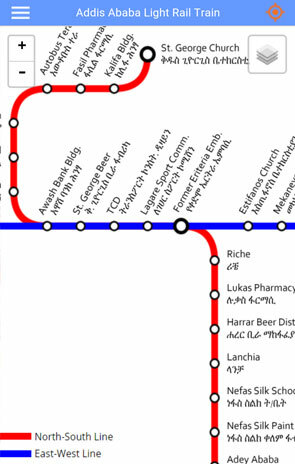 It provides the user with a subway style map of the train network or a map of the rail network overlaid on an actual map of Addis Ababa. 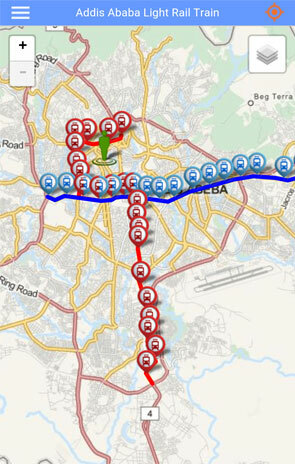 If the device has GPS, the current location of the user is also shown on the map. You can get if free from Google Play right now! What is exactly this app is made for? does it help users to display trains time table(schedule)? ,If its just shows the map where the train is going does this really worth for a user to download and install the app? In its current form, the app shows the train line on a map and also shows each station. The app can be very useful for anyone who wants to use the app, and this includes people who might be new to the city like tourists etc. Once the train starts operation and more information is made available about the service, that info will be included in the app. 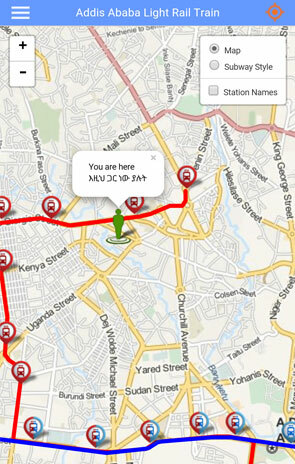 If the ERC makes arrival times etc available, then those will also be included in future versions of the app. appreciate your contribution and commitment. i wish to see you successful homemade technologist and entrepreneur.